Identification: Forewing is dark gray with brown tinges, a series of narrow dashes running from the tip to the cell spots, and a wide black band running from the middle of the outer margin to the base of the wing. 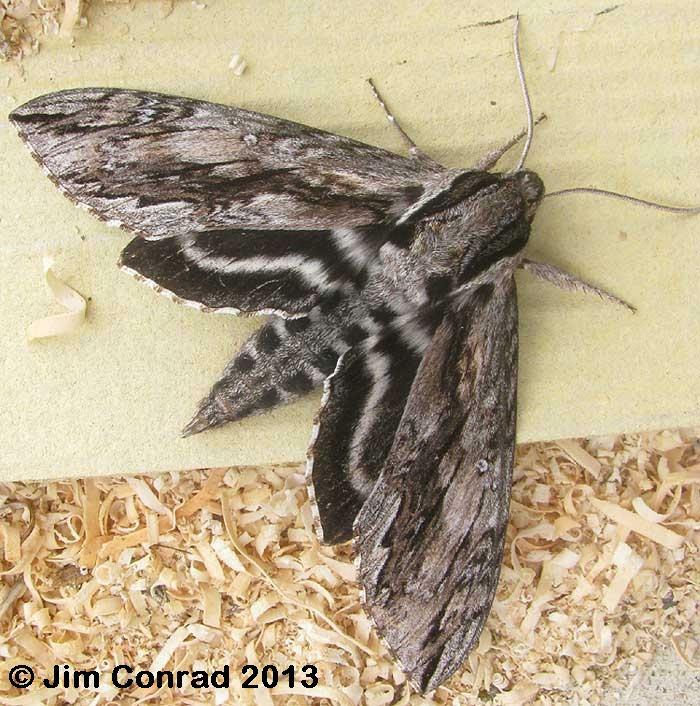 Hindwing is black with 2 white bands. Wing Span: 4 - 4 1/2 inches (10.2 - 11.4 cm). Life History: Fully-grown caterpillars pupate in underground burrows. Flight: . At least from July-September. Habitat: Mountains and pine-oak woodland. Range: Southern Arizona east to South Texas and south to Guatemala. 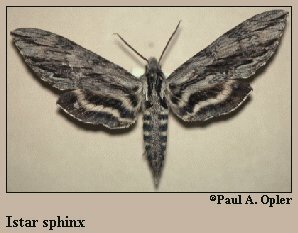 Taxonomy Notes: Formerly in the genus Sphinx, as Spinx istar.